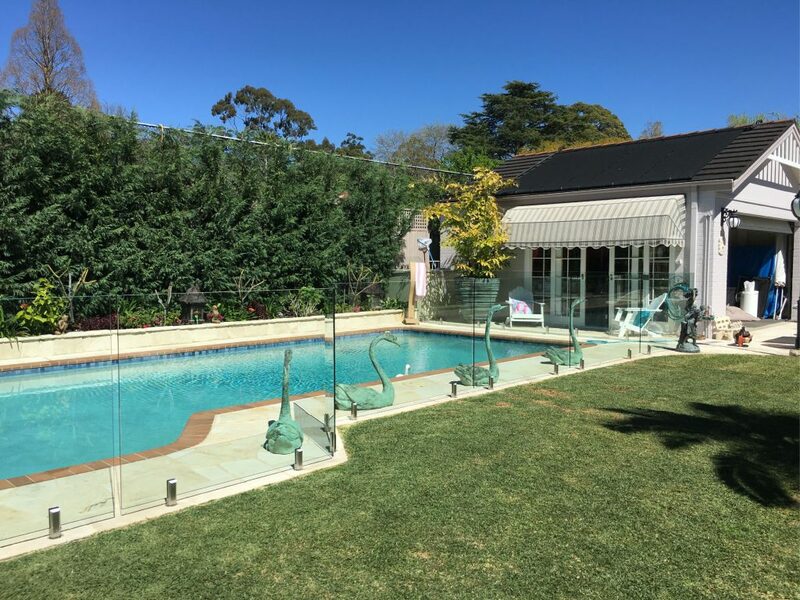 Wahroonga is located on the Upper North Shore of Sydney and is marked by large blocks and leafy green streets. 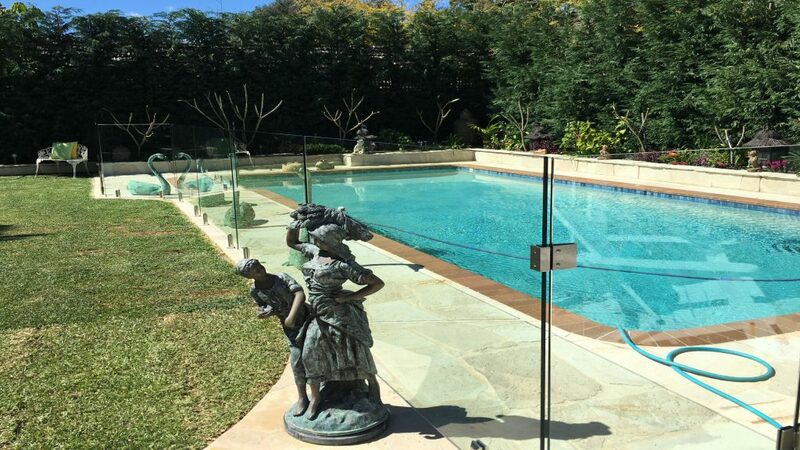 This house needed pool fencing in order to meet regulations for the property sale. 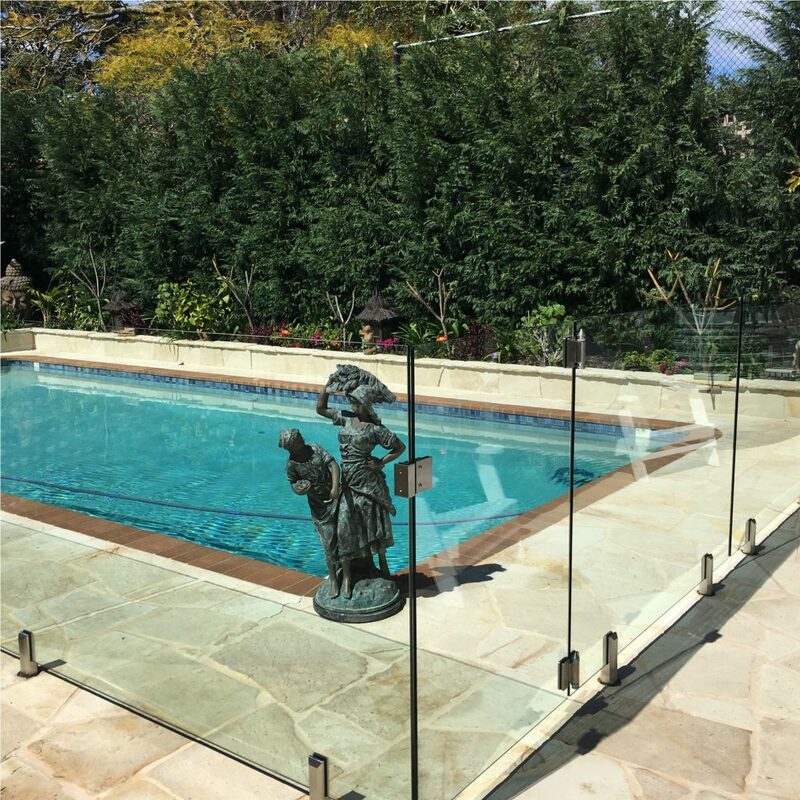 Glass With Class installed two runs of frameless glass alongside the pool which are core drilled into sandstone tiles. At each end are large custom panels which go into the gardens to the boundary fence. Two gates at each end of the pool for access.